What will you have to do if you go to an A.A. meeting? A. A. etiquette, Does and Don’ts. You need to go to an Alcoholics Anonymous meeting, maybe you have decided you have a drinking problem or maybe the judge or probation has told you that you will have to attend a certain number of meetings. Most rehab programs will require meeting attendance also. What should you expect the first time you go? What will they ask you to do and say? What should you not do? Are they going to grill you about your private business? When I teach Substance abuse counseling I encourage students who are not regular attendees of A. A. meetings to go to a meeting and have that experience of walking through the door the first time. Here are some of the things that you might experience that first time at A. A. For this description, I will assume that you have checked a schedule and are attending an “open” meeting so you will not be asked to qualify as an Alcoholic. I will describe a “typical” meeting, though things may happen differently in various areas and meeting are free to set up their own procedures as long as those procedures do not violate the 12 steps or the 12 traditions. When you introduce yourself, in order to protect your “anonymity” you will introduce yourself as let’s say “Mark A.” You are not expected to use your last name. You could use a middle name, an alias or any name you chose. No one is going to check your I. D.
Just remember if you introduce yourself by an alias or a nickname that it will be embarrassing later when you know these people to have to say – oh and by the way my name is really Bob. There may be a sign in sheet that goes around. This is to help the secretary or meeting chair know who to call on. These sheets are not kept and are not used to prove you were there. They are destroyed after the meeting is over. You do not need to sign in if you chose not to. If you have a “court card” or another document that you need to be signed to prove you are there get there before the meeting starts and give that paper to the person conduction the meeting. This person is customarily called the “secretary. I will talk more about court cards in an upcoming post. If this is a book study people will take turns reading. They may go around the table or the Secretary may call for volunteers or may call on people. If you do not feel like reading it is fine to just tell them you pass. If you do not want to share it is perfectly permissible to say something to the effect of “I just want to listen.” At that point, the secretary or chairman will move on to someone else. You will never be required to talk or answer questions, though some members may be interested in you and at breaks, before or after the meeting, they will come up to you and introduce themselves. At that point, they may ask you a question about yourself as a way of starting a conversation. It is acceptable to just say you wanted to see what happens at an A. A. meeting or to ask the person who introduced themselves to tell you about their experiences in A. A. This means that they will pass a basket and people put in what they can. If you are a member (want to stop drinking) put something in if you can. A. A. does not accept money from outside sources so the money put in the basket pays for the room and the coffee. If there is food, someone bought it and donated it. If you decide to share, talk about your problems with alcohol and staying sober. If you have other problems or issues, you may mention them in passing but stick to the topic which is mostly staying sober. A. A. members understand that the people who come to meetings may well have many problems. There are now over 200 twelve-step groups patterned after A. A. Not all of those groups have meetings all over all the time the way A. A. does, so people may turn up at an A. A. meeting who do not think they have a problem with alcohol. Most of those people who come in thinking that their main problem is something other than alcohol say depression or anxiety, may be surprised as they listen to learn how much their alcohol consumption is impacting those other problems. Beyond those simple things, sit back and listen. Hang around after the meeting and talk to the people who are there. You just might make some new clean and sober friends and discover that going to meetings is something you enjoy doing rather than something forced on you by the court or a rehab program. The posts I write about AA are from my perspective as a therapist and clinical counselor and do not necessarily reflect the views of AA World Services. 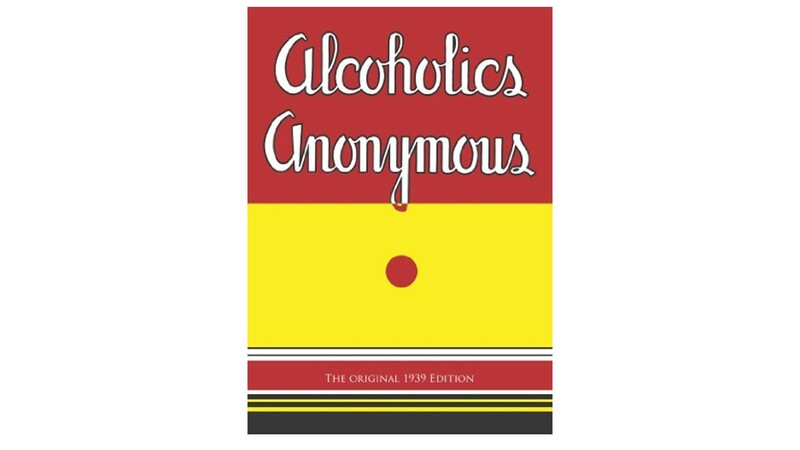 For more on AA and their program of recovery check out the “AA Big Book” titled Alcoholics Anonymous at the links below or contact AA World Services at their website. This entry was posted in Alcoholism and tagged Addiction, Alcoholic Anonymous, Alcoholism, Big Book, By David Joel Miller, Licensed Therapist & Licensed Counselor, Mental illness, Twelve-step program by David Joel Miller. Bookmark the permalink.